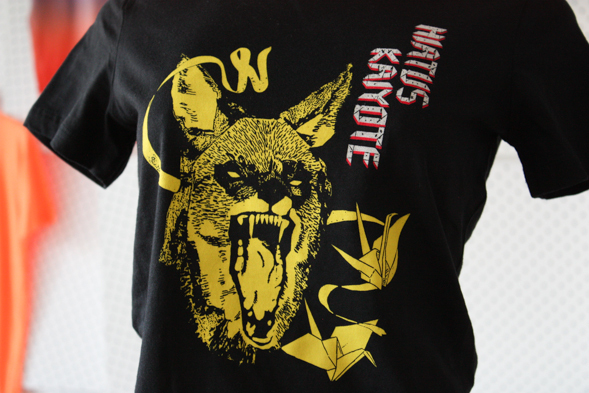 Hiatus Kaiyote was just in Los Angeles and we got to print some band merch f0r their current tour. We printed on the Bella Ladies Favorite tee, 100% Ring Spun cotton tee. 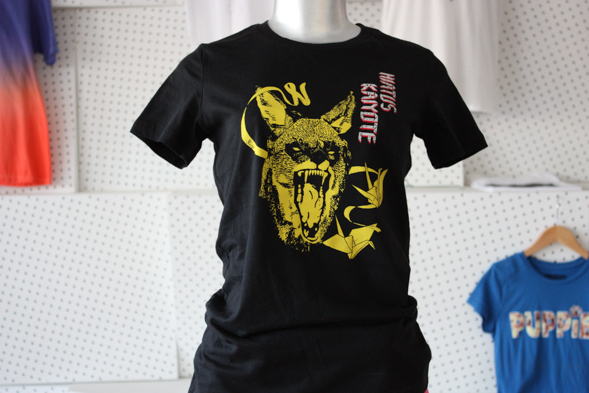 We printed these tees using discharge inks, which are perfect for printing on 100% cotton tees. The result is a super soft feeling print because unlike plastisol inks, discharge inks feel as if they’re part of the tee shirt fabric. Plastisol actually sits on top of the fabric which results in an equally high quality print, but there is a texture to the finish that is noticeable unlike discharge inks.